AimprosoftBlogBusinessWhy is SAP Hybris a leader in B2C commerce? Modern retailers are spoilt for choice when it comes to opting B2C solutions. This may surprise you to hear, but not every declared leader is in a position to provide a holistic approach both in the user interface and operational backend. It’s not a secret that everyone longs for special care of their personality. Coming to the shop or going to the website (or even opening a browser) people expect to be pleased and satisfied. From way back shopping has been and remains one of the most enjoyable things in life. The lack of individual shopping treatment to end consumers can cause the apparent attitude of passivity and the risk of losing revenue. Such circumstances are a result of not adequately elaborated product destination of a software vendor. How to tell apart reliable software producers from imitators? Why is SAP Hybris B2C Commerce considered as a leader in its segment? Isn’t it just a bait and switch? We would like to set forth our views on the subject. What is SAP Hybris B2C? Initially, SAP Hybris has been focused on enterprise-level businesses with a wide distribution network of affiliates. After a while, it broadened its offering from large-scaled B2B to B2C companies of middle size combining them into a B2B2C platform. Thus, companies which grew a small size and for which enterprise is coming up fast got the suite of tools to make a positive shift in their evolution. Well, what is SAP Hybris B2C like? Let’s figure out all what SAP B2C is capable of and what challenges it copes with. You may agree, our contemporaries are highly connected, well-informed, socialized more than even twenty years ago. Today it became normal to ask for a tip or recommendation unfamiliar people about things matter to us. The behavior of every single man has changed. As a result, new challenges related to increased demands to the perfect fulfillment of promises in trading followed. What are the difficulties B2C companies encountered with the process of amusing their customers? Let’s sort it out. Apart from a multichannel style of sales with the diversity of sales channels like old-school shops and kiosks, fast-growing distribution via social networks (Facebook, Instagram), and more familiar e-Commerce websites, an omnichannel model is a coherent approach to building relationships between companies and people. Here we do not speak about a one-time purchase; it comes to a long-term perspective which stands in need of a single platform with all integrated channels. Hybris B2C Commerce attains the goals in a very amazing way. What you need is to include data on purchases into the existing ERP system (or use SAP ECC which is integrated with Hybris naturally) in order Hybris can use it to analyze and prepare special offers automatically. Offline sales have to be entered into the database manually. That is to say, data collection from all sales channels is used to create user group flows to form special offers. And indeed, how also can we fail to recall the ability of Hybris to support stocks and warehouses. SAP Commerce would not exist without a customization opportunity with the dataset for defining a target user groups named Customization Library. The drag-and-drop management of web pages, layouts, and other components is carried out in the well-established up-to-date CMS Cockpit. A newcomer SmartEdit addon to the existing Hybris WCMS streamlines personalization of content across all channels in the most intuitive way and provides in-context editing. There are personalization rules configurable for customers. For example, a carousel of items on the homepage will show products based on consumer preferences on his earlier purchases to trigger desirable purchases. Contextual customer experience became valuable. Accompanying the customer at every touchpoint of his purchasing journey succeeds in a far-reaching relationship with him. Acting on the spot is essential. SAP Hybris Commerce for B2C helps to achieve superior service due to marshal a buying process. Your specialist on marketing strategy paired with your Hybris development team can design behavioral models imitating factual customer behavior based on key factors of shopping process: what, where, how, when, how much, etc. Belgium chocolatier GODIVA with over 90-years of brand history was short of shutting its online store. Instead, they made a try to expand personal experience contextually which their customers get at the brick-and-mortar shopping points. 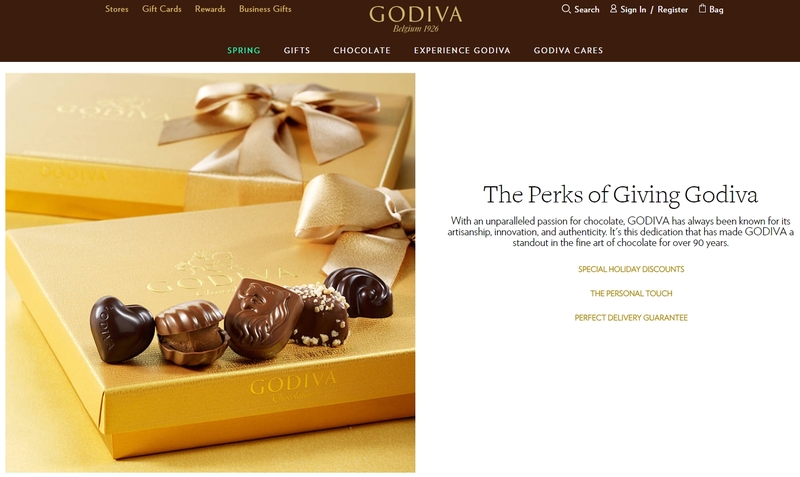 The redesign of B2C GODIVA’s website awarded the brand by 24% of site-wide conversion, 16% of sales increase, and growth of tablet conversions of 28%, as reported Brita Turner, the Director of e-Commerce at GODIVA. People are gone to the extent that they identify themselves and their own kinds on the basis of goods possessed by them. At the same time, consumers may not remember products or services the brand offers, but they do remember the experience they have got with them, the feeling they were overcome by. That would mean that a particular e-Commerce platform accomplished its task in the right place at the right time. We’d venture a guess when you have a well functioning local business or even affiliated distributed network of representative offices across your country, the next big shift is supposed to be an international market. Opening new sales outlets, country branding of the online store, integrating proper third-parties (payment, tax, shipping providers) requires a tremendous effort and implies huge investment risks. SAP B2C solutions are designed for running multiple online stores on one Hybris instance at that no additional license fee is required. It is possible to pull it all together with one thread — online and offline commerce, international customer service, single-out catalogs, product lines, prices and margin, and so on. It will save you a lot of headache down the line while international expansion mostly, but it still matters for national distribution as well to have all data management consolidated on one platform. It’s about product catalogs, price lists, visual, audio, and video content, and content generated by users (reviews, feedbacks, FAQ,etc.). If you’re serious to bring in the rush new customers to your e-store and tempt them to return for repeat purchasing, in addition to online marketing activities is vital to use something else. While in the offline commerce pro bono offers will bear fruit in the long run and customers will be about to reciprocate the favor, then the e-Commerce is forced to resort to more inventive techniques. Hybris solves this issue by means of CMS capabilities. For example, multi- and microsite implementations supported by Hybris WCMS allow moving onto a path of self-reliant feature extension of the online store. That means a vast variety of page templates and content components are come-at-able for updating and creating new web pages. Updates in a content catalog are performed with a version control option in a mode invisible to website users. 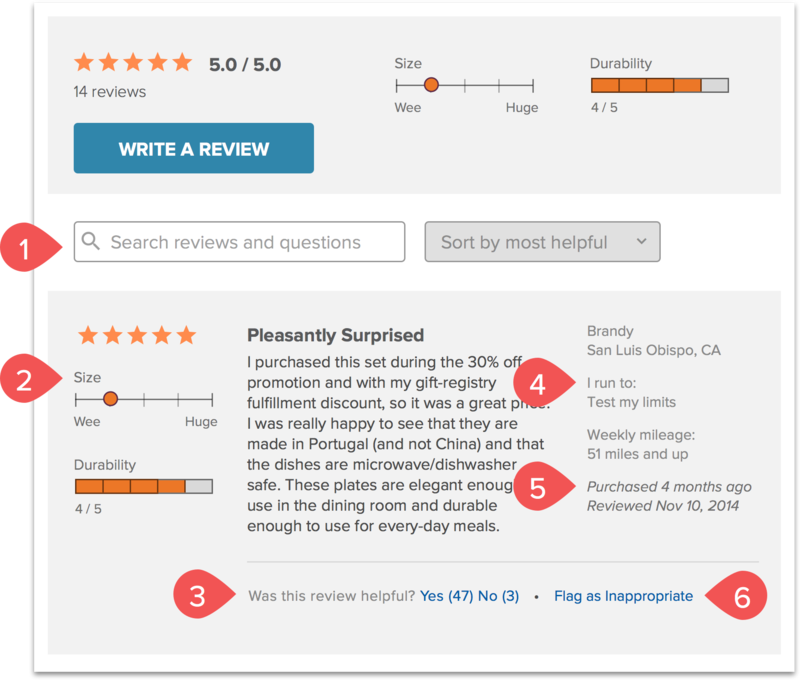 B2C retailers of enterprise level keeping content quality high need to get more ratings and reviews as well as deliver fast answers to customer questions on the spot. It happened that SAP Hybris B2C platform has no integration with TurnTo UGC provider for e-Commerce on default still. But Hybris developers from Aimprosoft can develop a custom TurnTo addon on demand to improve shopper-to-shopper communication and level up loyalty to the brand. Admit it, when you hear “orchestra” a band performing ensemble music comes to your mind. In case of e-Commerce, the relevant to it concept means the pattern of enterprise operation arrangement. Levi’s, for example, has a single informational channel about demands, stock reserve, and arrivals. A shoe retailer Aldo Group had tackled with inventory inaccuracy before it connected tried-and-true SAP Hybris Commerce. You must agree, it is challenging to manage global stock visibility across over 2 100 points of sale. The Order Management solution embraces distribution channels and logistics providers to ensure coordination of endless aisle programs which is in high esteem of retailers. Integration of supply, delivery, stock and order management data in one centralized location allows having inventory updated in real time and ensures sales stuff that every order will be fulfilled. The system is engaged actively in reducing cart abandonment, price optimization, shipping costs, store markdowns. Moreover, SAP Hybris Commerce for B2C displays an uprise in communication with clients. Both virtual merchandising and dropshipping hide tracking goods from customers. So it is critical to keep under control updates about order status and notify them timely. To gather all SAP Commerce options governed by one mediator is no easy feat. In making a data communication, the mediator is one of the most powerful means of connecting Hybris Backoffice solutions within the confines of your business occupation. In the context of solutions based on Hybris, a client gets not only the online store but scores with a range of e-store management tools. They are e-Commerce, marketing, sales, accounting, ERP, supply and delivery, shipment, support service and similar. Mentioned SAP Hybris Backoffice solutions are rallied with Data Hub. It is quite easy to get integrated the Hybris e-Commerce platform and the diversity of sources with highly customized Data Hub. In case of SAP ECC, Data Hub is out of the box and requires a competent adjustment only. The question is in cost. It is not surprising that acquiring developers competent in customizing and adjusting Data Hub is higher than the average price but justified. Our clients shared with us they usually look for the development resources quite long time because of the limited amount of such kind specialists in the market. SAP Hybris developers have to be skilled in a firm understanding of Data Hub working principles (how to convert XML files to ImpEx extension and vice versa), strong Hybris ImpEx experience and adequate knowledge of XSLT. We have got clear about the most important things related to SAP Hybris Commerce mission for B2C. The last but not least we are going to reveal a touch and deliver principle after all. Imagine, you log in the backoffice, make the desired changes, click to preview to see if everything is fine by you, then sync, and all alterations are going to be shown on the website. It is immensely convenient to use. An automated schedule for price changes is available here to tune pricing strategies fast and flexible. Being close to a hot season or planning bundling offers to move unsold items you can set up new prices beforehand, and they will be automatically displayed in time. In this respect, a powerful task planner allows applying marketing strategies easier without wasting valuable time for overmanagement. To learn how Hybris can benefit your business in the raw of the variety of retail platforms deserving attention, keep on reading. As much as retailers might wish it, in any case, consumers pave the way. While the former are concerned about getting developed online stores with basic capabilities (catalog, shopping cart, transaction handling, order status, promotions), the latter expect Buy Online Pick Up in Store possibility with gripping purchase journeys. We went through all salient capabilities of the platform which stand Hybris out as a leader just to name a few. Alliance of these two engagement directions requires from B2C software vendors to provide the ability to handle sales and payments coming from brick-and-mortar stores and web channels. According to statistics, 1.66 billion global digital buyers were fixed in 2017. But also, there are those who prefer to buy in an old-fashioned way. Is 2018 about flux variation between online and offline purchasing? Well, whatever happened, a holistic platform is the real deal when it comes to driving in-store and online sales. Offline shops have become attuned to consumer shopping behavior using face recognition and unique identifiers in smartphones which read the information by beacons and via WiFi. What should undertake online stores? There is a large quantity of CMS components, meta tags and redirections, and a king of frontend — responsive design. In the case of B2C, SAP Hybris Commerce is equipped with tools adjusted in HMC, Backoffice or CMS Cockpit to ensure personalized digital commerce experiences for customers. Moreover, WCMS contains exclusive capabilities to make personalization happen across channels and the option of Advanced Personalization to display content related to customer groups. It starts with rising expectations of customers (attention to their own personas, demographics, cross-channel service, chatbots, etc.). Customers are those who are calling the shots in 2018. SAP Hybris Sales Cloud Retail solutions, for example, turn this apparent burden of retailers into an amusement with a data-driven merchant toolset. That’s no news yet; an online-first global retailer Amazon goes offline opening in-store groceries. Why doesn’t Hybris start treating about B2C companies and offer technological tools for reporting, analytics, and decisions on the basis of more up-to-date data combining two channels? So it did. Now merchandisers can monitor, measure, and benchmark sales performance no limiting themselves to creating service tickets, follow-up files, generating quotes and so on. All these data will be transferred into the integrated management system instantly. Of course, SAP Hybris Sales Suite merits a review in its own right what we will certainly do shortly. The last word-of-mouth trend in e-Commerce is microservices and cloud. Leading B2C platforms have been responding to the market demands with a platform-as-a-service (PaaS) model. They offer the management of a single-tenant cloud instance and multitenant environment management. Cloud computing technology and service orientation approach help to accelerate Time To Market for retailers who tend to complement their successful offline efforts with an online sales channel. Commerce suite of Hybris implies a fast and agile implementation of the online store no matter what how heavy those solutions are with its YaaS cloud services. Any e-Commerce vendor who is committed to serving for EU retailers (a share of which is 22—23% of world GDP (Gross Domestic Product)has to comply with European Union regulations and legal aspects. If you collect and manage data from EU residents, you have until May 25, 2018, to comply with these new requirements. New regulations draw the attention of software vendors on what data of EU natural persons must be regarded as personal information and is subject to protection in processing by both EU and non-EU organizations. Process Control (PC) provides ongoing digital evidence to the authority on private data usage. Information Lifecycle Management (ILM) and PowerDesigner (PD) are about to tag personal data across multiple environments. ILM is an SAP-only tool and can manage data deleting. PD is non-SAP and covers not deleting data management. Information Steward tracks the location of personal data across SAP and non-SAP systems with a focus on accuracy and consistency. BI for Cockpit (embedded) is intended for keeping the single place contained real-time GDPR compliance status. Regarding SAP Hybris Marketing Cloud it is used an internationally recognized standard ISO/IEC 27001:2013 to ensure intelligent data processing. How does SAP Hybris B2C Commerce contribute to your business growth? Of course, there is no full list of options worth talking. We try to make single breakdowns on SAP Hybris system in our blog to reveal all potential of it based on our experience. Apart from this, summarizing the current research we would like to mention the availability to provide an experience management toolset, omnichannel interaction across the digital store and offline outlets, full-spectrum selling, channel management, and eProcurement feature more desirable by B2B companies but available out of the box in SAP Hybris Commerce suite. The points described in this article complement a growing amount of helpful tech-savvy content on SAP Hybris Commerce solutions has already appeared in the Aimprosoft blog. We at Aimprosoft prepared the guide to the General Data Protection Regulation to spell out what we undertook as a software provider to perform in compliance with the GDPR.